Distract the other team at that critical moment or push the school team spirit up to WIN. Dual purpose sports promotional item at a cheap cost, giveaway or sell at the gate. Boost your school fund raising net profit with optional 2nd side sponsor imprint. Constructed from durable copolymer plastic, overall size 3 1/4" w x 7 1/4" h.
Delivery from date of an order for Stadium Clappers is 3 weeks. 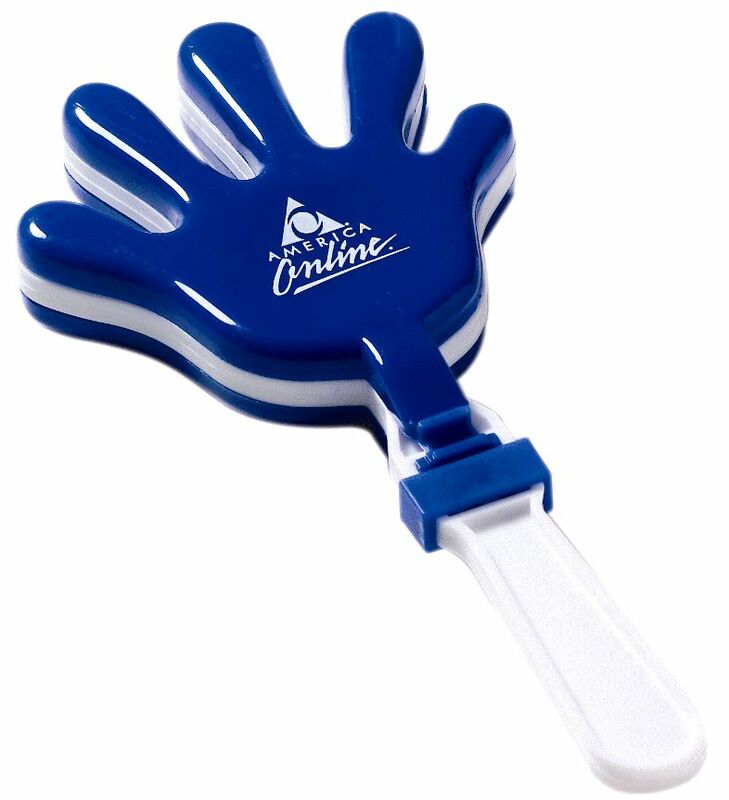 Stadium Clapper Rush Production available no extra charge. Price includes a one color imprint on one side in area 1 1/4" diameter. Factory setup charge is $50.00. One color imprint only item. and running charge of $.25 each stadium clapper. Logo does require Illustrator eps or pdf art file.